Hi, my name is Isabel Vacani van Fechtmann. Here's a picture of me. Isabel began playing the piano when she was four years old and because what parents would buy a piano for a four-year old … she drew the piano keys on her desk and played in her head. Being an ethnologist (she graduate from UC Berkeley at a very early age) and musician she is a lover of world music and music historian. Her love of music is infectious and she has frequently opened her home to musicians and dancers from around the world. She has composed and arranged music since she started playing the piano an her compositions include childrens songs, a ballet, Gregorian chants, and several jazz arrangements. Isabel was a runway model, then started training models both in the USA and later when she managed fashion shows with Gucci. She was a spokesperson for Spanish Fashion and then became Head of Marketing and Public Relations for the Gucci Family (before they sold the company). She worked closely with Aldo Gucci and his family to make the Gucci name one of the most recognized on the planet. She started performing publicly when she was 7 and has performed in several countries as a classical pianist, and later as a jazz pianist and singer. She even hosted her own television show in Florence Italy where she played and discussed contemporary issues, studied at the Julliard School of the Performing Arts, appeared on the Johnny Carson Show, and produced movies with Frederico Fellini. Isabel continues to be interested in the entertainment field and production of movies. Several of her friends are famous performers and entertainers. Animus Mundi – music of life: As a former concert and jazz pianist and composer, Isabel uses this blog to feature some of the musicians she has personally known and others that have influenced her, or simply give her pleasure as fellow musicians. Isabel was born into a mutli-cultural, mutli-lingual family that bridged European and Asian cultures. Her skill in music and superior mental facilities allowed her to become a native speaker in Spanish, English, Italian and Tagalog. She also speaks French, Portuguese, Bhasa, and can converse in several other languages as well. Her ability to do translate simultaneously is amazing to experience first hand. An Insiders View of Italy: Being fluent in Italian (and many other languages) this web site is a running commentary on life in Italy, and was originally created to give her English students (Italians who want to learn English), the opportunity to read articles in English that they could find interesting. An avid reader, researcher and blessed with a phenomenal memory, and with the ability to communicate in many languages she has spent considerable time discoursing with experts in many fields – including many fascinating conversations with Jesuit Scholars, philosophers, academicians, and great minds of all ages and cultural backgrounds. Several political leaders and high ranking individuals have sought out her council which she's provided behind the scenes, except for when she served as the Economic and Strategic Advisor to the Government of Mozambique. Isabel was one of the first to predict back in the 1980's that China would emerge as a major economic force, and following her experiences at Gucci she advised the Chinese how to become a dominant presence in the clothing industry. Building on the relationships and contacts in China she used to travel back and forth frequently to Shanghai arranging strategic joint ventures between the Chinese and leading European companies that people in the hotel she used to stay at used to refer to her as the Shanghai Lady – because of her resemblance to Rita Hayworth and also because she liked to wear hats. She has been nominated to serve as Jessup Judge in a prestigious law school competition that will take place in Shanghai China in 2011. Isabel has been both friend and trouble-shooter for two multi-billionaire families: An old friend Ravi Tikoo was the developer of the super tanker and used to be the largest ship owner in the UK before he retired. Sheikh Alghonim and his family were the largest employers in the Middle East and she lived with and handled a number of delicate family affairs during the Kuwaiti War and Desert Storm, including arranging for the burial of Sheikh. Isabel has experienced a wide range of adventures and has visited more than 80 different countries – she's flown in just about all types of commercial aircraft from African bush planes to first class seats on the Concorde. She's travelled by ship or yacht in most of the major oceans and up and down many major rivers. As a journalist she was in a gun fight with raiding Tuareg maruaders, and has been on big game hunts in Africa, by ship across the ocean. 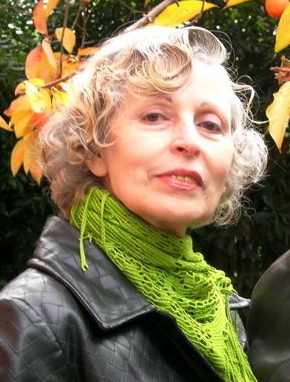 Isabel is a prolific writer, essayist, and screen-writer. Having started writing book reviews for Stars and Stripes as a young girl (but using a male nom de plume), then as a journalist for two leading Spanish newspapers, later as a publicist for Gucci, and now as a full-time writer. Her most recent book: Heart of Diamonds is currently with Isabel's editor and agent should be published in 2011. Based in the Congo (which she had visited), this is an amazing book that describes the exploitation of the children of the Congo. Note: Isabel is one of the leading sponsors to stop the abuse of Children and supporter of the work of Medicin sans Frontiere – both of which are featured prominently in her book. Saga of Fray Paco. This is a five book series that chronicles several generations of a family living in Manila from the time of the Spanish-American War until the overthrow of President Marcos. Fray Paco was the beloved and long-lived Cockatoo who lived through these very interesting times. She is currently in the process of developing a new series of books based on one of her dear friends, a noted criminologist and Eastern mystic – whom she refers to in her books as Inspector Gislero. Having come from an accomplished family and having lived and traveled in so many plces, Isabel has always been fascinated by the stories of great people. Isabel, with the help of Sheik Algonhim spent considerable time and resources researching the life of Suleyman The Magnificent. Suleyman is perhaps the best political leader that ever lived and was loved by Christians, Jews and Muslims alike for his fair ways of dealing with people of all cultures and religions. His life should be an inspiration, especially during these times of great fear and conflict. Isabel, a student of WWII has chosen one of the most controversial people to write about in her book, Checkmate: The Enigma of Reinhard Heydrich. Reinhard Heydrich was one of the most important leaders for Germany during WWII, and his assassination in 1942 was a major turning point in the war. Not to be over awed by the men, Isabel started giving a series of lectures in Genova this spring entitled Incredible Women of History. This is an ongoing project so check back from time to time. To see more photos and learn more about me, I invite you to visit me on facebook. Just click here Isabel Vacani on Facebook. Hope to hear from you. You'll also have a chance to meet and become some of my many interesting friends. Back from this page on Isabel to more about Alchemie Limited Inc.